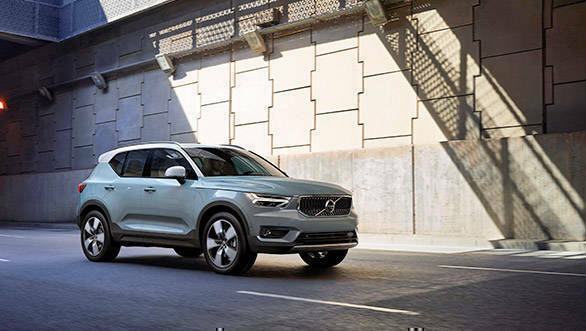 Volvo Cars have announced three new entry-level engine options for the XC40 in the UK market. These will be two petrol motors and one diesel engine. This first version will be called the Volvo XC40 T3 and will put out 156PS and 235 Nm via a 1.5-litre three-cylinder turbo-petrol. This will be available with only a six-speed manual and gets from 0 to 100 kmph in 9.4s. The other petrol motor is the T4. This is powered by a 2.0-liter turbo petrol which makes 190PS and gets from 0 to 100 kmph in 8.2s. An eight-speed auto is the only transmission option. The third engine option is a diesel. This bears the D3 moniker and is available as a front-wheel-drive manual or an auto with front or four-wheel drive. The 2.0-litre motor in this one puts out 150PS and 320 Nm. The run to 100 kmph comes up in 8.2s. Like the Indian version, these three engine options are available in Momentum, R-Design and Inscription trim levels internationally. 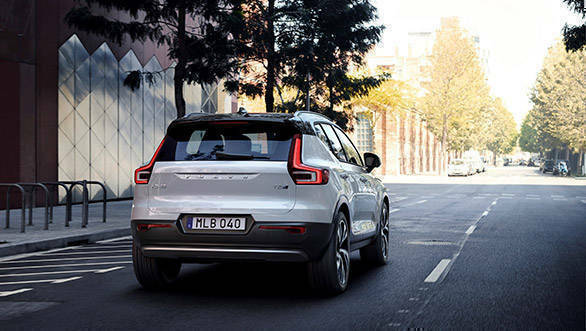 The Volvo XC40 compact SUV is based on the Compact Modular Architecture (CMA) platform that has its origins in China, thanks to Geely which now owns Volvo Cars. CMA is a more cost-effective platform for emerging markets, as against the SPA platform which underpins larger Volvo offerings. The Volvo XC40 sticks close to the 40.1 Concept showcased last year and you can clearly see the family motifs like the Thor's Hammer DRLs as well as the overall styling. The XC40 borrows design cues from both its larger siblings, the XC60 and the XC90. Prices for the Indian-spec Volvo XC40 starts at Rs 39.9 lakh for the D4 Momentum, going up to Rs 42.9 lakh for the R-Design and Rs 43.9 lakh for the Inscription. All cars are powered by the same 2.0-litre turbocharged diesel motor good for 190PS and 400Nm, mated to an eight-speed automatic. These new engine options make a lot of sense for the Indian-market. This will lower the entry price for the popular SUV while still keeping the USPs of this car like the unique looks and good features list intact.